What Does iTunes DRM Really Mean? DRM is an acronym for Digital Rights Management, a class of controversial technologies used to restrict the free use and transfer of digital content such as making backup copies of CDs or DVDs, using copyrighted materials. Until 2009, Apple’s iTunes implemented a DRM schemes built in all of its media downloads (audio files, movies, videos) to limit the number of devices they may be played on. While iTunes sells a wealth of videos, their DRM-protected M4V format prevents the users from transferring or burning the files, only permitting you watch them on Apple’s devices only. Therefore, we need to Unlock protection protections on Mac for easier playback. About the legality of removing protections on Mac is always the subject of lively debate among advocates and dissenters. Security issues, fair use issues, and issues of creative expression are all at the forefront of the DRM battle. Advocates argue that the use of digital technology should be unfettered, so this article will be based on fair use clause which allows for unhampered use in certain situations. Best iTunes DRM remover software for macOS will easily Unlock protection protections on macOS from movies, videos, music and save in formats like MP4, MP3, AVI, MOV etc. In essence, good Mac DRM remover software has to define three distinct entities – the consumer, the content itself, and the consumer's rights to use the content. There are numerous software ways to break protection protection on a Mac OS powered computers. 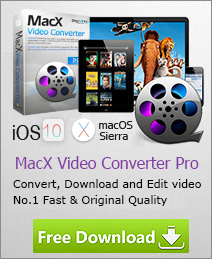 MacX Video Converter Pro was reviewed here while proved to be a versatile program to Unlock protection legally (doesn't hack DRM encryption) and produce DRM-free media files that you can enjoy on iPhone, iPad, Android, HTC, Samsung, PSP, Blackberry, and several other options. This DVD ripping software for Mac actually works as a screen recorder to capture and record every DRM-protected iTunes movies & TV shows. It allows you to legally Unlock protection from iTunes M4V videos and save iTunes purchased or rental movies to any format (like MP4 format) preserving original sound and video quality for long-time. Download and open this iTunes DRM remover for Mac (or Windows version for PC users), click the "Screen Recorder" button in the main window. You may customize the capture area, tune video frame rate, select a target folder as output location. Then click the record button to start recording! Wait for the recording procedure to be completed, then press the stop short key to stop recording and find the video file located at the output folder you set. After you successfully remove FairPlay DRM from iTunes purchases, you can eventually transfer iTunes purchases between iPhone iPad iPod and Mac/PC or even watch iTunes movies on Android. 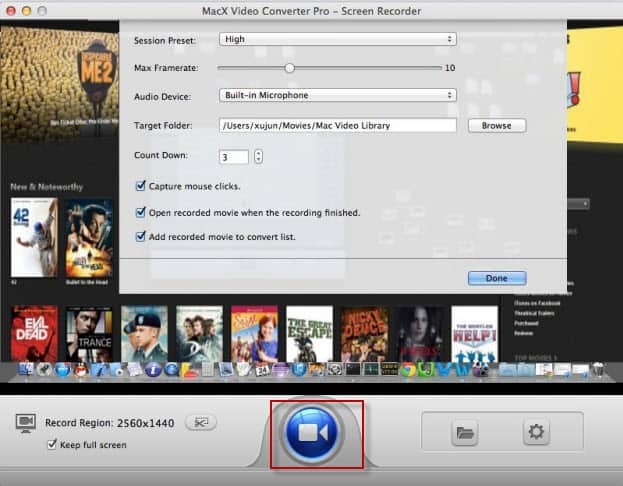 This article will show you how to play iTunes movies on TV within 5 ways. Thus you can have a better video watching experience no matter you watch iTunes purchased or rented movies on Samsung, LG, Apple TV etc. Have you ever thought about watching iTunes movies via Chromecast on TV? This article explores the ultimate guide to play iTunes movies on Chromecast with iTunes DRM removed, so that you can have a better enjoyment of iTunes movies on wide screen smart TV. How to Unlock protection from iTunes movies, songs, audiobooks on Mac? Best DRM remover for Mac OS X easily cracks protection from iTunes M4V video, M4P songs & audiobooks and convert them into MP4/MP3 for non-Apple devices & players.